Using a third-party alternative to Apple’s iTunes platform could give you the freedom you’ve been looking for! If you have an Apple iPhone or iPad, you will be well aware of iTunes, the company’s proprietary music software platform. While it does a pretty good job of managing your music, it does have a rather restrictive approach. For example, iTunes only supports a small number of file formats, can sometimes make your PC run slowly, or be unreliable. Therefore, it’s worth considering an alternative media manager/player for your music files, videos, and photos. It’s always good to have a change from an official platform and try something different, and many people appreciate the freedom that a third-party alternative to iTunes will give. There are plenty of people who are not aware of just how many options are available for managing and playing media. Others may be interested in something more intuitive and reliable, or additional aspects such as the ability to sync with Android devices, or for iOS device management without Apple’s iOS bloatware. If you’re ready for a change but don’t know where to begin looking for an iTunes alternative, any of the apps below for Windows, Mac, Linux and more could be the choice you’ve been waiting for. They are all free apps to download and free to use with plenty to take advantage of. However, please note that some are free for a trial period only or offer additional features for payment. 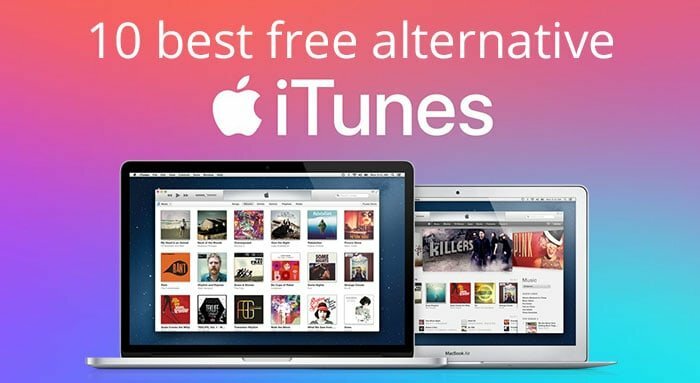 Get ready to check out the best free alternatives to iTunes for iPhone/iPad users. There’s plenty to recommend about this powerful and complex media management tool for the Windows platform, which is packed with features and is excellent for serious music lovers who have an expansive music collection. Users can record CDs and download music, podcasts and videos, and it can easily cope with more than 100,000 music and video files. It has an intuitive interface to manage various audio and video genres, includes the ability to create playlists, and syncs with iPhone, iPad, iPod and Android devices. MediaMonkey supports MP3, AAC (M4A), OGG, WMA, FLAC, ALAC, MPC, WAV, CDA, AVI, MP4, OGV, MPEG, WMV, M3U, PLS formats and more. The free version of the tool has a huge amount to offer but if you want even more you can upgrade to the Gold version for additional features such as advanced auto playlists, automatic organization of files, auto conversion and leveling, professional quality CD ripping and much more. The MusicMonkey version 4 Gold license is $24.95, or you can pay $49.95 for the Gold lifetime license that entitles all future upgrades to later versions. It’s also said to work on Linux though we haven’t checked that out. If you want something a little more lightweight for playing music, Ecoute could be the tool you’re looking for as an iTunes substitute. It has some neat features such as instant indexing of music, a widget, cover art display, and Growl alerts so you can see what’s playing, and the expandable interface is rather different too. Your iTunes library can be detected automatically and imported upon installation, and users have the option to connect the tool with Last.fm, Facebook, or Twitter accounts. We’ll start by saying that although this app is free to download, there’s a slight catch as the free trial only lasts for 20-days, and if you want it after that, you’ll have to pay $14.99. Nevertheless, that time should be long enough for you to decide if it’s worth investing in and we felt it should be included as one of the best free alternatives to iTunes. This OS X app syncs with your iTunes library and also your Last.fm account if you have one, and much of the focus is on the cover driven view with album cover browsing. Vinyls has innovative display controls and be used as a mini player by simply clicking on the green button in the top left corner. It has an attractive interface, and the tagline of the app is “Your personal DJ for all your music.” That describes this tool pretty well so do take a look. The unusual aspect of this open-source media management tool is just how many platforms it supports, including lesser-known ones such as Ubuntu and Gentoo. There’s a very social aspect too, as Tomahawk is a great way to connect with others, giving you the ability to play or browse their libraries, stations, and playlists. You can share songs with friends or listen to what’s being shared with you. As well as social networks, users can add music promotion platforms, cloud storage, music data providers, music subscription services, networked libraries and more. In short, the app will trawl through all of your connected sources to find a song you want to listen to, whether it’s in your own library or not. This is a solid iTunes alternative, and its cross-platform approach makes it a good option for syncing a music library between devices via Wi-Fi. It’s especially useful for example, for those who might have a Mac PC but an Android smartphone rather than an iOS device. 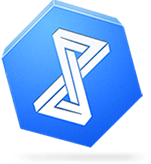 It has a nice clean interface, and like the others in our best free alternatives to iTunes selection, doubleTwist is free to download and use. MusicBee is a very decent free music manager and player for your PC. Sound quality is a focus of this app, with fine-tuning with the 10-band or 15-band equalizer and DSP effects, the utilization of high-end audio cards with WASAPI and ASIO support, support for some WinAmp plugins and much more. It also has native support for Groove Music, and further features include Last.fm and SoundCloud compatibility, tagging tools, CD ripping, playlist and podcast syncing, and a selection of skins with more available as add-ons. This free smartphone management tool can be used to easily transfer music, videos, photos, messages, and much more across iOS and Android devices and PCs (Note the Mac version only supports iOS devices). It makes it easy to manage your iPhone or iPad without iTunes, and the handy toolkit includes an audio converter, video converter, ringtone maker and more. The free version will be enough for many users or with the Windows edition it’s possible to upgrade to the Ultimate version for $34.95. Additional features with this include one-click phone-to-phone transfer between iOS and Android, backup and restore for mobile data, retrieval of data from iCloud backup, one-click iTunes library transfer and more. Similarly to the Vinyls app listed previously, Swinsian is free only for a 30-day trial period, and after that, you’ll have to pay $19.95. It syncs with your iTunes library, and the focus here is as an advanced music player. This tool includes wide format support, advanced tag editing, album art fetching, playback notifications, folder watching, Last.fm scrobbling, and AirPlay port auto-detection among other features. If you think it has a familiar look, that’s because it looks very much like iTunes, so it should be easy to get used to. This freeware audio player features gapless playback and supports MP3, MP4, AAC, CD Audio, WMA, Vorbis, Opus, FLAC, WavPack, WAV, AIFF, Musepack, Speex and further formats. Being frank, it’s not one of the best-looking music players and managers at first, but it does have a customizable user interface layout and plug-in extensions. It works well with effective tagging, and additional features include dBpoweramp CD ripping support, dBpoweramp mp3 converter, and full ReplayGain support. Vox for Mac (also comes as Vox for iPhone) is a very appealing media player that centers on Hi-Res music with excellent sound quality and functionality. A very nice bonus with this one is the inclusion of the Vox Music Cloud for unlimited cloud storage and playable from Mac, iPhone, CarPlay, Sonos, and other supported audio systems. The Vox Music Player for Mac is available as a free download, but for full features, you might want to upgrade to Vox Premium from $4.99 monthly. This offers advanced audio settings and features including an equalizer, control panel extensions such as Apple Remote and Apple EarPods, gapless and overlapping mixing, BS2B and more. If you’re an avid music enthusiast and want a different way to manage your music and optimize your music playing experience, any of these best free alternatives to iTunes might suit your needs. Some are simpler to use and easy to familiarize with, while others offer something more complex to real aficionados. Either way, we know that there are at least a number of decent substitutions for iTunes out there. Of course, this is our pick of iTunes alternatives but do send us your comments about any others you’d particularly endorse, as we’re always open to suggestion or finding out about something we may have missed!